Dr. Jurczak’s lab is primarily interested in the relationship between nutrient excess, mitochondrial overload and the pathogenesis of metabolic diseases, such as fatty liver, insulin resistance and type 2 diabetes. Mitochondrial dysfunction and ectopic lipid accumulation in liver are both associated with insulin resistance in human subjects, but the cause and effect nature of these associations remain unclear. Dr. Jurczak’s lab is specifically interested in a mitochondrial repair mechanism called mitophagy that regulates the selective removal of damaged mitochondria via the autophagosomal pathway. Because autophagy is suppressed in mouse models of obesity and fatty liver disease, it is likely that mitophagy is similarly impaired and may contribute to the decline in mitochondrial function seen in human patients. Interestingly, a key component of the mitophagy pathway, a ubiquitin E3 ligase called Parkin, is upregulated in liver of obese mice. This change may represent a compensatory response to remove damaged mitochondria from hepatocytes or result directly from the loss of autophagy. Dr. Jurczak’s group is using a genetic approach to test whether the loss of Parkin-mediated mitophagy in liver predisposes mice to mitochondrial dysfunction, ectopic lipid accumulation and insulin resistance. The lab employs in vivo and ex vivo approaches in transgenic mouse models and specializes in using radioactive and stable metabolic isotopes to measure substrate turnover and flux. 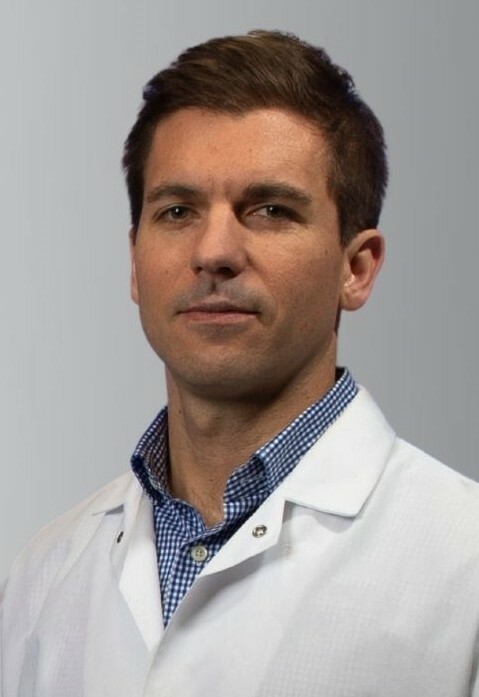 Dr. Jurczak is involved in mentoring postdoctoral fellows and clinical research fellows in the Department of Medicine, Division of Endocrinology and Metabolism. Thapa, D., Wu, K., Stoner, M. W., Xie, B., Zhang, M., Manning, J. R., Lu, Z., Li, J. H., Chen, Y., Gucek, M., Playford, M. P., Mehta, N. N., Harmon, D., O'Doherty, R. M., Jurczak, M. J., Sack, M. N., Scott, I. The protein acetylase GCN5L1 modulates hepatic fatty acid oxidation activity via acetylation of the mitochondrial ß-oxidation enzyme HADHA. J Biol Chem. 2018; Epub ahead of print. Jurczak, M. J., Saini, S., Ioja, S., Costa, D. K., Udeh, N., Zhao, X., Whaley, J. M., Kibbey, R. G. SGLT2 knockout prevents hyperglycemia and is associated with reduced pancreatic ß-cell death in genetically obese mice. Islets. 2018; 1-9. Thapa, D., Stoner, M. W., Zhang, M., Xie, B., Manning, J. R., Guimaraes, D., Shiva, S., Jurczak, M. J., Scott, I. Adropin regulates pyruvate dehydrogenase in cardiac cells via a novel GPCR-MAPK-PDK4 signaling pathway. Redox Biol. 2018; 18: 25-32. Flannery, C. A., Choe, G. H., Fleming, A. G., Cooke, K. M., Radford, C. C., Kodaman, P. H., Jurczak, M. J., Kibbey, R. G., Taylor, H. S. Insulin Regulates Glycogen Synthesis in Human Endometrial Glands through Increased GYS2. J Clin Endocrinol Metab. 2018; Epub ahead of print. Xiong, J., Kawagishi, H., Yan, Y., Liu, J., Wells, Q. S., Edmunds, L. R., Fergusson, M. M., Yu, Z. X., Rovira, I. I., Birttain, E. L., Wolfgang, M. J., Jurczak, M. J., Fessel, J. P., Finkel, T. A Metabolic Basis for Endothelial-to-Mesenchymal Transition. Mol Cell. 2018; 69(4): 689-698.e7. Lawan, A., Min, K., Zhang, L., Canfran-Duque, A., Jurczak, M. J., Camporez, J. P. G., Nie, Y., Gavin, T. P., Shulman, G. I., Hernandez-Fernando, C., Bennet, A. M. Skeletal Muscle-Specific Deletion of MKP-1 Reveals a p38 MAPK/JNK/Akt Signaling Node that Regulates Obesity-Induced Insulin Resistance. Diabetes. 2018; 67(4): 624-635. Ioja, S., Singamsetty, S., Corey, C., Guo, L., Shah, F., Jurczak, M. J., McVerry, B. J., Shiva, S., O'Connell, C. P. Nocturnal Hypoxia Improves Glucose Disposal, Decreases Mitochondrial Efficiency, and Increases Reactive Oxygen Species in the Muscle and Liver of C57BL/6J Mice Independent of Weight Change. Oxid Med Cell Longev. 2018; eCollection 2018. Cobit, K. C., Camporez, J. P. G., Edmunds, L. R., Tran, J. L., Vera, N. B., Erion, D. M. N., Deo, R. C., Perry, R. J., Shulman, G. I., Jurczak, M. J., Weiss, E. J. Adipocyte JAK2 Regulates Hepatic Insulin Sensitivity Independently of Body Composition, Liver Lipid Content, and Hepatic Insulin Signaling. Diabetes. 2018; 67(2): 208-221. Pang, X. Y., Wang, S., Jurczak, M. J., Shulman, G. I., Moise, A. R. Retinol saturase modulates lipid metabolism and the prodcution of reactive oxygen species. Arch Biochem Biophys. 2017; 633: 93-102. Lee, H. Y., Lee, J. S., Alves, T., Ladiges, W., Rabinovtich, P. S., Jurczak, M. J., Choi, C. S., Chulman, G. I., Samuel, V. T. Mitochondrial Targeted Catalase Protects Against High-Fat Diet-Induced Muscle Insulin Resistance by Decreasing Intramuscular Lipid Accumulation. Diabetes. 2017; Epub ahead of print.